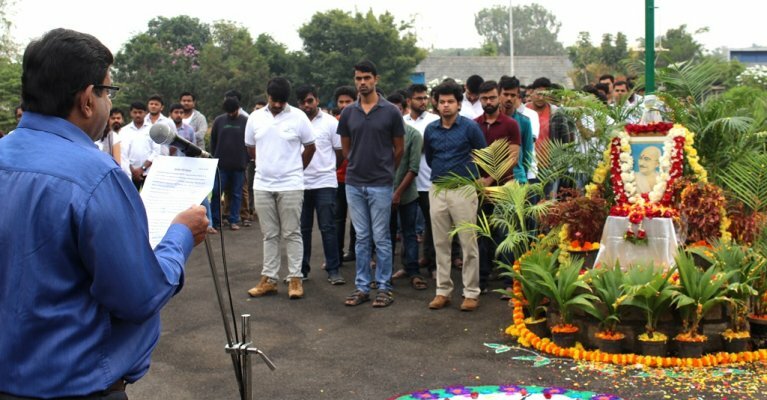 The 70th Republic Day was celebrated with great patriotism and fervour at SDMIMD on Saturday, January 26, 2019. The celebrations began with a patriotic song. 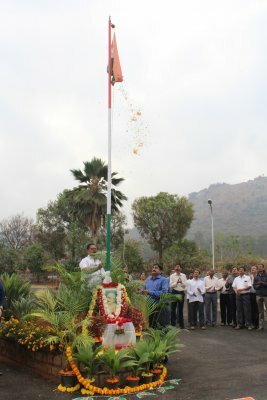 Prof. Sridhar, Faculty and Chief Administrative Office, SDMIMD, unfurled the national flag. Speaking on the occasion, Prof. Sridhar said ‘it’s our duty to respect our parents & teachers, who made us responsible citizens. We got to be very fortunate to have been born in this great country. India is a vast and diversified country with Multi Religions, Languages, Cultures, faith and beliefs. Yet we have proved to the entire world that we are a cohesive force and live in harmony and peace by respecting each other’s beliefs and sentiments and have collectively made India a very strong country in the Global arena. Today India is respected everywhere, and India is a strong force to be reckoned with. Indian’s are respected and welcomed in other developed and developing countries. We are all respected for our rich tradition, culture, hard work and commitment, which are based on our rich value systems and rich ethical standards laid by our Great forefathers since ancient times’. Further, Prof. Sridhar said only when we become disciplined and committed, the society will be benefitted and finally the country at large will also be benefitted. All good initiatives must originate at our levels only and we must practice what we preach. The impressions shared by SDMites about the country and role of Young Indians, showed great patriotism. Faculty, Staff and Students joined the national celebration. This was followed by community breakfast at the Institute Mess.